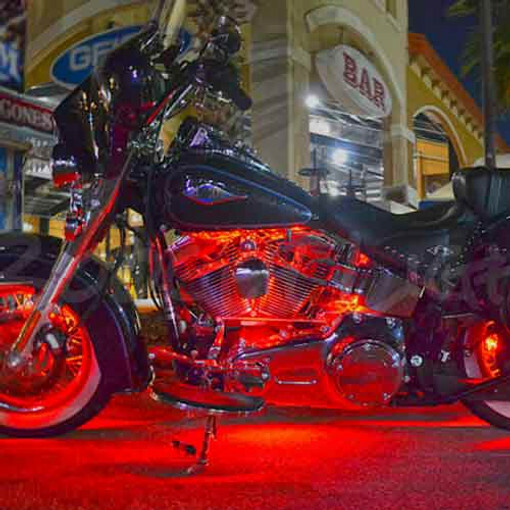 Motorcycle LED Lights for Touring and Bagger style bikes. Touring and Bagger motorcycles are by far our most requested setup. We've put together four different options for lighting most Touring or Bagger style motorcycles. Choose from our VALUE SERIES™, CUT-N-CLICK™ and our PREMIUM SERIES light kits for touring and bagger style motorcycles. These LED lighting kits include everything you need to order and all with one click.